VietNamNet Bridge – Foreign real estate brokers, one after another, have landed in Vietnam to take advantage of a market that has been heating up in the last four years. On July 25, a press conference was organized in HCMC to announce the establishment of Propnex Realty Vietnam and the signing ceremony of Propnex brand franchise contract. 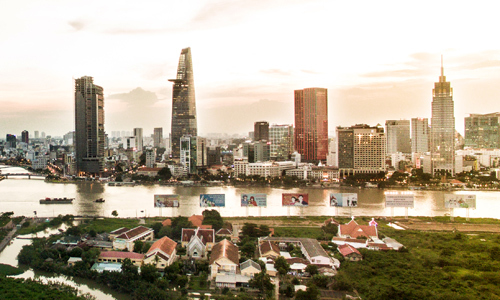 The large Singaporean consultancy and distribution brand has offices in Malaysia, Indonesia and now in Vietnam. Analysts noted that most foreign real estate brokers, when entering Vietnam, will target HCMC first, which serves as the springboard to jump into other markets, and focus on the high-end market segment. Foreign real estate brokers eye HCMC first because the market is the hottest one. Under current laws, foreign institutions and individuals can buy no more than 30 percent of products in one project. Dao commented the regulation can be exploited by foreign brokers to boost sales. However, they need to have more Vietnamese as sale staff to access domestic clients.